One of the worst things about playing stardoll is the fact that a lot of exclusive clothing items or stuff is only available to users from specific countries. So usually unless you live in that country you are unable to get the free stuff you want. Well there is a pretty cool work around for this and they are called proxies. 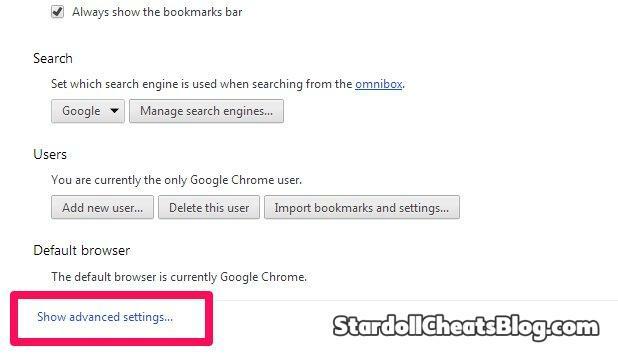 There are two ways to use a stardoll proxy cheat. The first and easiest way is to login by browsing through a proxy website. All you need to do is visit the website and plug in stardoll.com or the exact link you want to visit into the search bar. After doing this you will be taken to stardoll but you will be surfing through the proxy which will make stardoll think that you are from that country. For example if you wanted to visit stardoll like a user from the UK then you could go to http://www.justproxy.co.uk/ and you would be browsing from the uk. The other way to use a proxy and probably the best way is to configure your browser with the proxy information. This way you can browse just like you regularly would and it will usually be faster, safer, and way less popups. To do this though you need to configure your browser (internet explorer, firefox, chrome, safari ect) to use the proxy server. 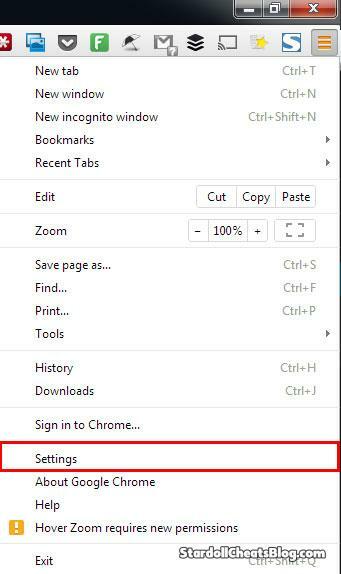 The easiest way to do this is by using a browser plugin or the actually browser settings. 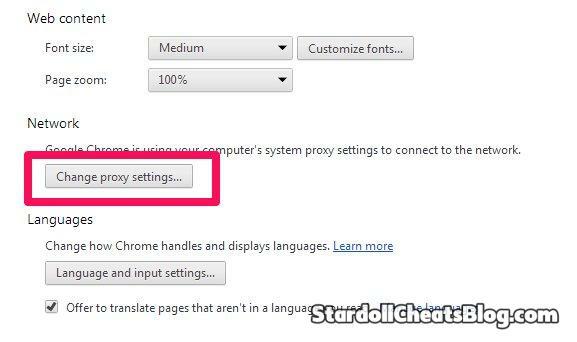 To setup a proxy in chrome you need to click on settings. 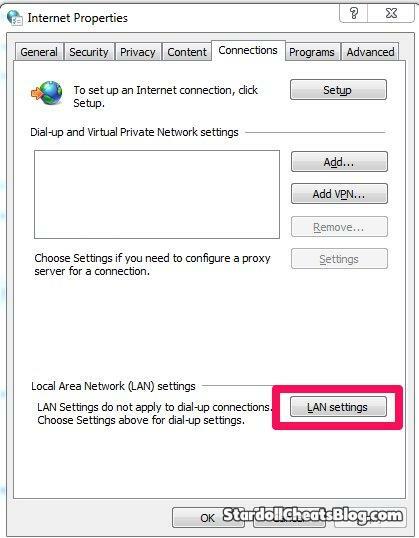 Now all you need to do is check the box where it says use a proxy server for your lan. Then once you check that box you can plug in the proxy information for the specific countries proxy you want to use for stardoll. You will need both an ip address and a port number. For example with the proxy 121.45.224.57 : 8080 you would need to enter 121.45.224.57 in the address section and then enter 8080 in the port section. It must be entered that way, with the periods included in the ip address section and just the numbers in the port section. 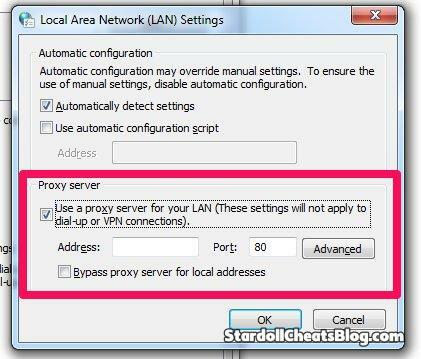 Once you are done using the proxy be sure to uncheck the box where it says use a proxy server for your lan. For a great list of proxies for stardoll you can check out our best list for 2014 below. 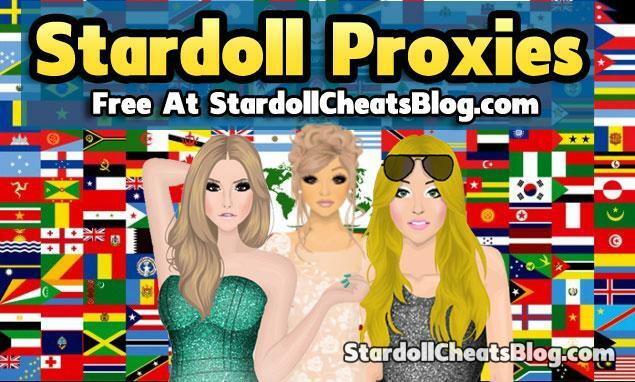 Note: If you have any countries that you want us to add stardoll proxies for just leave us a comment on this post and we will get it updated as quickly as possible with working proxies. This guide should help you with setting up proxies for stardoll so that you can get all the free clothes, items, and other stuff with a quick and safe cheat. Be warned that when you us a proxy you are probably going to run into a lot of popups when surfing with a proxy. A lot of proxy websites earn money via popups so there is a good chance you’ll run into a lot more than usual.